Unaffordable healthcare. Unsustainable fuels and industrial chemicals. Environmental pollution. Lack of sufficient food supplies for a rapidly growing population. There is one thing each of these pressing, real-world problems has in common: their potential solution. Synthetic biology, a novel branch of science that enables the design and construction of biological parts, devices, and systems as well as the redesign of natural biological systems, is beginning to emerge with innovative solutions to these global challenges. But technology has always raised concerns about safety, including at the dawn of the biotech revolution when numerous naysayers raised fears of dire consequences that never materialized. Synthetic biology is not proving immune to this common challenge. Because this emerging discipline works with the most elemental properties of life, it raises serious questions about who is doing the work, under what conditions, and under what supervision? Regulation is one way to foster trust within the community by serving to safeguard the population from the risks of the technology while simultaneously enabling the benefits to humanity that the technology promises. In the 1970’s, the biotechnology community proactively promoted and adhered to tough standards for responsible science. Today, the synthetic biology community is taking a similar proactive approach: they are actually engineering safety features directly into lab-developed organisms so they cannot survive outside of narrow, specified conditions..
Two laboratories at Harvard and Yale, led by Drs. George Church and Farren Isaacs, respectively, have re-written the genetic code of E. Coli to prevent the accidental release of these organisms into the natural environment. Several genetic traits have been modified to create these new branches of life. First, the survival of these bacterial strains now rely upon a synthetic amino acid that is not found in nature, which means that they will die as soon as they are released into the natural environment. When the synthetic amino acid was removed in the laboratory, no survivors were detected out of one trillion organisms. Second, these strains are unable to swap genes with other bacteria, which means that they cannot acquire or remove genetic traits. 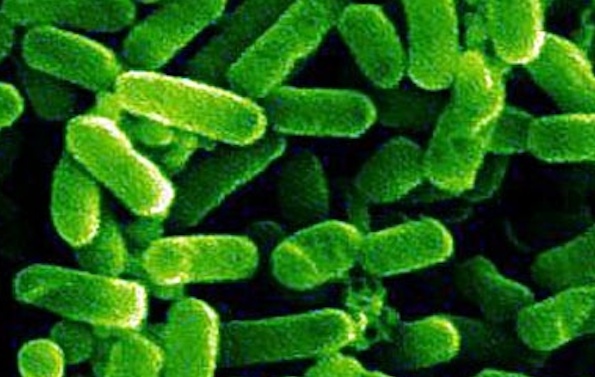 Third, these strains have been rendered resistant to viruses that frequently attack E. Coli. This third trait should be appealing to biopharmaceutical manufacturers and other industries (e.g., yogurt production) for which viral infections can ruin production. In 2009, for example, Genzyme Corp. (Cambridge, MA) had to halt the production of two life-saving drugs for rare disorders, Gaucher disease and Fabry disease, because the bacteria used to make these drugs became contaminated by viruses. This contamination resulted in a significant drug shortage for patients with these rare diseases. It is too soon to tell whether these modified bacterial strains will become robust enough for industrial use, such as in a biomanufacturing setting or environmental pollution remediation, or whether the same approach can be applied to other micro-organisms. Regardless, this type of research should be both applauded and emulated throughout the synthetic biology community. Synthetic biology will emerge most effectively if we can carefully balance the scientific advancements that may benefit humanity with the ability to reduce the risks – or even the appearance of risks — potentially introduced by the technology. Engineering biosafety features is responsible science that embodies this careful balance. For more information on synthetic biology, please read our sustainability report, which is the result of a one-year initiative led by our team to develop a strategic action plan to advance the field of synthetic biology in the U.S.